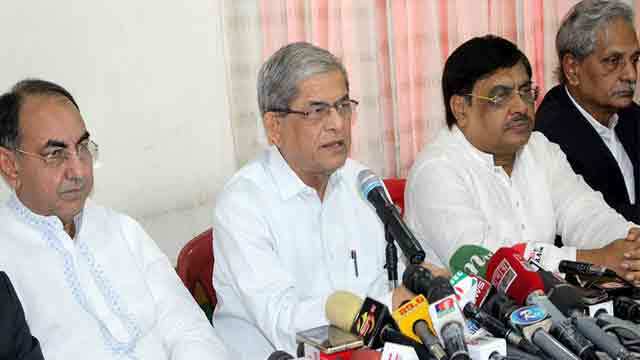 Dhaka, Mar 24 (Just News): It is shameful for Bangladesh that it is now considered under autocratic rule, BNP Secretary General Mirza Fakhrul Islam Alamgir said today. The BNP leader came up with the comments during a joint meeting with the senior leaders of front and associate bodies of the party at a press briefing at party’s Nayapaltan headquarters in Dhaka. “Bangladesh is a country of autocracy and it is shameful for our nation,” said Fakhrul. “For all these days, BNP has been saying democracy is absent in the country and that is now being proven to be true. The government’s mask of autocracy has been unveiled,” he added. Bangladesh is among five countries which no longer meet minimum standards for democracy and are now under autocratic rule, German-based think-tank Bertelsmann Stiftung said in a report published yesterday. The four other countries are Lebanon, Mozambique, Nicaragua and Uganda. Democracy has been undermined in these five countries for years, and it is often the shortcomings in the quality of elections that tipped the balance, the study said.